Today’s devotional’s title is actually a new title for something which appeared here five years ago. I re-titled it because I wanted you to see that there might be more than a casual connection between the two. Yes, false teachers teach falsely about many subjects — not just finances — but the often-quoted verse about the love of money is found in a larger context of something different: False doctrine. It’s always good to frequently remind people in your sphere of influence that the chapter headers and paragraph headers in modern Bibles are not in any way part of the text. A few days ago here, I learned that when you create a particular headline, you send peoples’ thoughts in a particular direction that doesn’t allow what is written to speak for itself. It’s the same with the publishers of Bibles. That header tends to funnel us directly to the “love of money” section at the expense of the earlier verses, at the expense of what precedes it. The second part of verse five is the pivot around which the text moves into a discussion of finances, but we emphasize those verses about the love of money to the point of neglecting the section about those who teach false doctrine, especially as described in verse 4 and 5a. 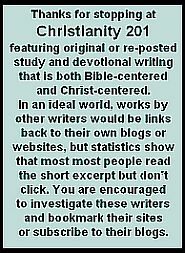 Certainly any look at what takes placed in the Christian blogosphere and in the comments section on news websites dealing with religion stories shows the preoccupation for words and controversy. Many of those writing are simply not qualified to make blanket, authoritative pronouncements. But it’s interesting that many of these very people are also called out for their preoccupation with money. It is as though the two conditions go hand in hand. This is the message of many faith teachers; that living life God’s way will result in financial gain, whereas the scriptures teach God’s provision for needs. Matthew 6:33 says that if we seek God’s kingdom “all these things” will be “added” to us, but the “things” referred to in the preceding verses are food, drink, and clothing; in other words physical necessities. Don’t let the Bible’s teaching about the love of money in I Timothy 6 cause you to miss that money issues are often part of a larger issue, either in someone’s character or in their methodology for interpreting the Bible. At the beginning of his revelation to humankind, the Lord pronounced blessings on those who would hear and take to heart the fullness of that revelation. Following this he commended the seven churches for their strengths and admonished them for their failures. At the end of his revelation he promised a presence in the New Jerusalem for those who overcome. 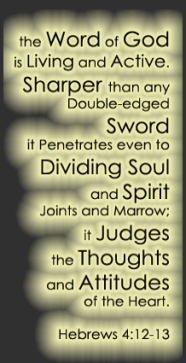 (Rev 21:7) They were to do something to find eternal fellowship with him, not to passively rest in mental “belief” or in the “acceptance” of his gift of grace. His address to the churches was not to the church corporate but to the body of the churches. To the church in Sardis he stated, “I know your deeds; you have a reputation of being alive, but you are dead. Wake up! Strengthen what remains and is about to die, for I have not found your deeds complete in the sight of my God. Remember, therefore, what you have received and heard: obey it and repent.” (Rev 3: 1─3 NIV) The blessing that the Lord had proclaimed rested in the need for those of Sardis to wake up and to obey what they had received. It is easy for a church to have a reputation of being alive. A reputation is derived from the impressions of others. A church can be very active within itself and within the community, as was likely the church in Sardis. However, the Lord declared it to be “dead,” or perhaps, its members to be dead. He left them with the call to “obey” and dismissed their reputation of being alive. The issue of concern to him appears to be that of personal righteousness, since he addressed the state of their coverings and commented that a few people had not soiled their clothes. These he proclaimed would walk with him dressed in white. “White” raiment stands for purity and holiness. Those who don’t wear white will be left shamefully exposed. He admonished the church in Laodicea to buy “white clothes to wear, so so[they] could cover [their] shameful nakedness.” (Rev 3:18 NIV) Apparently the need for personal righteousness had been lost in the church of Sardis and in the minds of its people. The Lord said that he or she who “overcomes” like them would be dressed in white, that their name would not be blotted from the book of life, and that he would acknowledge them before his Father and his angels.” He did not say that they needed to confess him as Lord but that they had to live out their confession through obedience–to do something, if they were to avoid death. Even though the church had a reputation of being alive, the Lord’s assessment was that most of its members were dead. There are many false doctrines being presented that bring comfort to the dead, but the Lord cautioned the church of Sardis, and his people through them, to “Wake up!” The promise of a place in the New Jerusalem is only offered to those who “overcome.” (Rev 21:7) Does your walk need strengthening? Do the teachings of your church need strengthening? The church in Sardis was found wanting and needed strengthening. Our Thursday contributor, Clarke Dixon, also looked at the church of Sardis earlier this year. Click here to read Dead Churches, Like Sardis. Yes, today’s first scripture text did indeed form the basis of a Bob Dylan song, When You Gonna Wake Up. In yesterday’s Sunday Worship column, I commented on a detail of The Prodigal Son story that I had not noticed before. I am constantly amazed at the depth of the parables, how many different lessons there are to be gained from what is always just a few short verses. But we need to be careful when he hear something new that it conforms to everything else we have been taught. Someone has said, “If it’s new it’s not true.” I am not comfortable with such a sweeping generalization, but obviously in the course of Christian history, there have been many people who have come along with new ideas; some helpful and instructive; others rather off base. I am afraid, however, that just as Eve was deceived by the serpent’s cunning, your minds may be led astray from your simple and pure devotion to Christ. For if someone comes and proclaims a Jesus other than the One we proclaimed, or if you receive a different spirit than the One you received, or a different gospel than the one you accepted, you put up with it way too easily. Evidently some people are troubling you and trying to distort the gospel of Christ. But even if we or an angel from heaven should preach a gospel contrary to the one we preached to you, let him be under a divine curse! As we have said before, so now I say again: If anyone is preaching to you a gospel contrary to the one you embraced, let him be under a divine curse! Years ago, I had the responsibility of coordinating two completely different Sunday morning services at our church. The first service was meant for believers, and I asked a friend, who specializes in cult research to do a message for which I gave him the title, “How Does a Rocket Go Off-Course?” In other words, I wanted him to share not so much how groups come along with something completely out of left field (i.e. The Book of Mormon) but rather how orthodox groups suddenly seem to take a turn down a road of questionable theology. I suspect it starts out with one small particular point of doctrine. Perhaps it’s something a reader wishes was in the text. Perhaps it’s a word that has been less than perfectly rendered in one of our translations. Perhaps it’s a lack of attention to the context of a particular verse. Perhaps it’s just a lack of sleep the night before due to bad pizza! The problem is once you start undoing a working systematic theology, because of the inter-relatedness of the parts, you can end up undermining the very nature of God, or the essential plan of salvation. Some may find the study of theology boring, but there is a real beauty in how the various doctrines can fit together, if the theology makes sense. The second rendering, in the NLT suggests something that is true far too often, and that is many people have come into the faith family believing things that “were never true in the first place.” Again, using the analogy of a rocket that has gone off course, we need to apply what rocket scientists call “a mid-course correction.” We need to gently steer that person away from the false understanding which, left unchecked, will lead to other errors or perhaps lead to great frustration in their Christian growth and life. We’re back for yet another visit to Blogos. The featured writer this time is Anthony Barbato. Click the title to read at source and then check out some of the other articles. One thing Satan continually does though, is cast doubt upon God’s word. Let’s take a look at his exchange with Eve in the garden. After this Eve eats the fruit and gives some to Adam to eat as well. You see, first Satan calls into question God’s word. And then, even when it’s affirmed, he twists its meaning. This is essentially Satan’s primary desire. Since the Lord is the only source of truth (Ecclesiastes 12:11), it’s of course where Satan is focused. He doesn’t care which lie you believe, just that you don’t believe the truth. People who are part of a false religion are just as doomed as the atheist (John 14:6; Acts 4:12; 2 Peter 3:16; Revelation 20:15). Satan doesn’t care which lie you believe; people in false religions are just as doomed as atheists. 1. The Depravity of Man — This is the clear Biblical teaching that, “all have sinned and fall short of the glory of God” (Romans 3:23). Men are fallen creatures (Romans 3:10-18), wretched beings (Romans 7:24), and in need of a new birth (John 3:1-21). Because of our sin we face eternal separation from God, and nothing apart from belief in Christ through the drawing of the Father can save us (John 6:44; Acts 4:12). In short, men are sinners, incapable of saving ourselves from God’s judgement without the intercession of the Son by God’s immeasurable grace (Genesis 8:21; 1 Kings 8:46; 2 Chronicles 6:36; Ezra 9:6; Job 9:2, 15:14; Psalm 14:1; 51:5; 53:1; 58:3; 143:2; Proverbs 20:9; Ecclesiastes 7:20; 9:3; Isaiah 64:6; Jeremiah 3:17; 17:9; 22:21; 32:30; Micah 7:2; Mark 10:18; Luke 18:19; Romans 3:10-18, 23; 7:18; 1 John 1:8). 2. The Deity of Christ — The deity of Christ is the belief that Jesus Christ is the Son of God the Father, the image of the invisible, co-eternal, and equal to Him as the Word become flesh (Deuteronomy 18:18; Isaiah 9:6-7; 16:5; Jeremiah 23:5-6; Daniel 7:13-14; Micah 5:2; Mark 14:61-64; John 1:1-14; 5:18-23; 8:58-59; 14:7-9; 10:30-33; 2 Corinthians 4:4; Philippians 2:5-6; Colossians 1:15-19; 2:9; 1 Timothy 3:16; Hebrews 1:8). 3. The Sacrificial work of Christ — This is the belief that Christ died for our sins, taking our place in judgement and fulfilling God’s plan to reconcile us to Him (Isaiah 53:4-5; Romans 3:25; 2 Corinthians 5:21; Galatians 3:13; 1 Peter 1:18-19; 1 John 2:2; 3:5; 4:14; Ephesians 1:7; Hebrews 9:14). 4. Christ’s Resurrection — The belief that Christ was raised on the third day “according to the Scriptures” (1 Corinthians 15:4), showing His victory over death (Matthew 12:39-40; Mark 16:6; Luke 24:6-7; John 11:25-26; 1 Corinthians 15:16-17; Romans 1:4-5; 4:25). 5. Salvation by grace through faith alone — The belief that we are saved only by the grace of God, through our faith in the sacrificial work of His son, Jesus Christ (John 3:16; Acts 15:11; Romans 3:24-28; 5:6-9; 9:16; Galatians 2:16; Ephesians 2:4-9; Philippians 3:9; 2 Timothy 1:9; Titus 3:3-7). I ran this yesterday at TOL, but wanted it here as well, even though it doesn’t have a specific scripture reference. 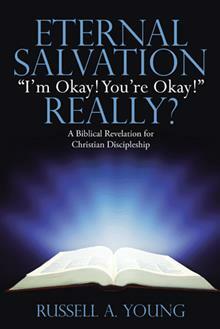 The author is popular Christian counselor and author Jay Adams. Click here to read at source. Philemon is a welcome exception. II John warns against hospitality for heretics. Jude throughout its entirety is an exhortation to contend against the libertines who invaded the church that failed to listen to the warnings in II Peter. Now, in light of the above, if you can, tell me, why we should not be prepared to detect and refute falsehood in the Church? For today’s post we make a return visit to Elsie Montgomery at the blog Practical Faith. Even though I find myself currently immersed in the worship life of two different congregations, I can honestly say that I am not aware of any factions within either of them. For that I am thankful, especially because my job causes me to sometimes have to listen to people from other congregations voice various complaints. Still, pastors and leaders need to keep their eyes open for things that would disrupt the work of the Holy Spirit in our churches. Elsie titled this Wolves in the Church, and as always you’re encouraged to click the title to read at source. In our many moves, we have attended many churches of all sizes. Some were small and struggling. Others were healthy and growing rapidly. In my observations and experience, it seems that the biggest blessings are for those leaders and congregations that are concerned with God’s glory. 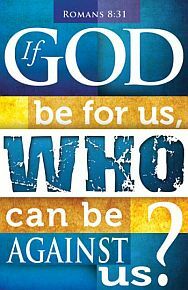 Personal desires and ambitions have no place and because of that, the churches whose focus is on Jesus Christ are blessed, united and strong. Here, “fierce wolves” seems to apply to those who teach false doctrine in an effort to draw people from the truth. These wolves want to build their own kingdom and will try to split the church toward that end. However, pastors must be watchful against all that tends to injure and corrupt a congregation. If false teachers and other factions come in, the elders of the church must put them right or put them out. Yet, this is a task for which they receive little training. Most courses offered by seminaries for a Master of Divinity degree do not offer instruction in how to deal with those who try to split or corrupt a congregation. There are a few online sermons that explain how to spot wolves and deal with them, but I get the impression that those preachers learned this from experience rather than advance preparation. This problem actually requires more than one person. Church leadership at its best is in a congregation with a plurality of elders. In fact, the word for Christian elders in the New Testament is almost always plural. These days when individualism, authoritarianism or even economic necessity make the pastoral role a “one-man show,” churches still must promote teamwork in their leadership. However, that leadership must be God-given. 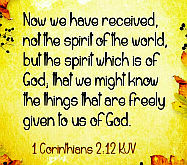 Paul said, “The Holy Spirit has made you overseers.” The Lord motivates and gifts men to be leaders. Their job is to be caring, pastoral and corrective. They are to watch their own selves even as they protect and feed the people of God. Their role also includes admonition of those who stray, which presupposes resistance and even opposition. I’ve never envied the duties of a pastor! As one preacher says, this leadership will be serious, conscientious and intensely personal. After all, this is the church of God, bought with the blood of Christ. It does not belong to the pastor, or the elders, or the congregation. Not only that, even with today’s emphasis on spiritual gifts and special roles, such as administrator, educator, counselor, church-growth strategist, and so on, the Bible puts greater emphasis on shepherding, tending, feeding, and protecting the people of God. We are like sheep and we need good shepherds. Wolves are not interested in caring for the sheep. They want a following. They want power. They want to be in authority and have the strongest voice in all decisions. They are more interested in feeding and protecting themselves. In every church we have attended, there are a few who may faithfully attend, but constantly gripe about leadership and authority. They are not interested in unity or in promoting peace and spiritual growth. If the pastor knows how to deal with these, they tend to move on, looking for easier prey in another congregation. If not, the pastor will eventually be brought down and the congregation will fall with him. Lord, nothing is more distressing than observing a church divided against itself, particularly when this division is fueled by wolves dressed in sheep’s clothing. As You said to the disciples, “Beware of false prophets, who come to you in sheep’s clothing but inwardly are ravenous wolves” (Matthew 7:15) and “Behold, I am sending you out as sheep in the midst of wolves, so be wise as serpents and innocent as doves” (Matthew 10:16). Most of the time regarding these matters, I feel about as wise as an oblivious dove. I struggle with objectivity and clarity regarding those who do these wolf-like things. Are they dangerous? or merely disgruntled? Yet either way, You say to pay careful attention to myself. I am not an elder but can certainly pray for and support those who lead Your church with integrity and in the desire to glorify You. Amen. I apologize for the dots between paragraphs. Reblogging from Blogspot to WordPress is always difficult, but normally I can eliminate the unwanted HTML tags after a few tries. Today it just wouldn’t work.